I have been writing about multiple intelligences and learning styles the last few days. Now, how about a personality test? This is a personal favorite of mine, and great ice breaker for the first day of class. Preparation is simple. 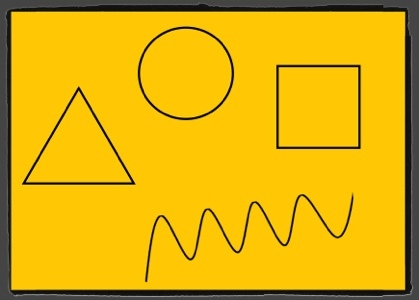 Display four shapes on the board/SMARTBoard: a square, circle, triangle, and a squiggle. Students then get into groups based on their choices. Give handouts to each group. I have included the PDF versions of the Symbol Test Handouts I give to the groups. ** Feel free to use them in your classroom. These descriptions could be reworded for a variety of age levels. The files I have attached have been used with students at the middle school level. The group then has about 10-15 minutes to design a poster with their shape, everyone’s names and the characteristics of their shape. The groups then share their poster briefly with the class. For homework, students respond on the pink index card about the activity and their shape. Which shape were you and do you think it best described you? What made you think it was a good match? If it wasn’t a good match, which shape would be a better fit? What else do you think I should know about you as a learner? Please include anything that will help me be a better teacher for you. This activity is a great way to see how students work together, see who the natural leaders are, and let students get to know their classmates. You will be surprised how honest students will be on their index cards. This gives kids a chance to ask for help right away and give you a heads up about their concerns. Now, out of curiosity, which shape did you choose? 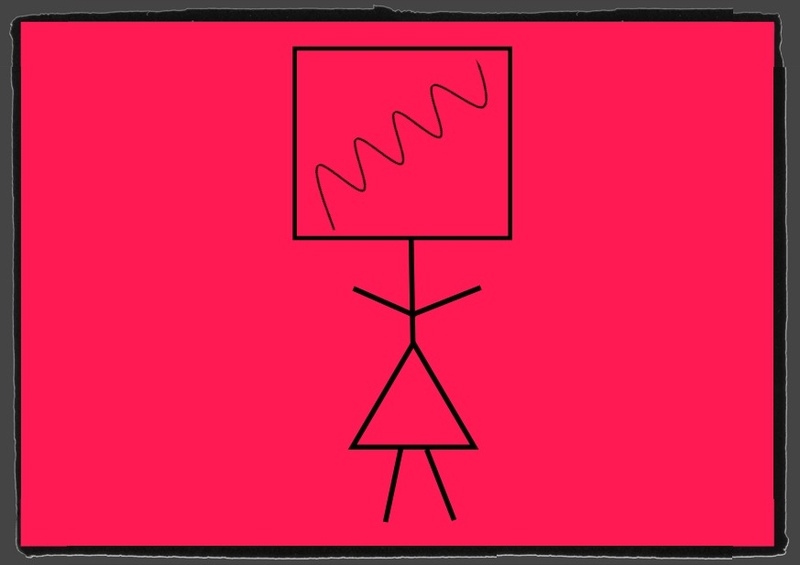 I am a squiggle stuck inside a square. *The reason for the pink index card? It’s easy for them to find in their binders because of the color. It’s non-threatening because it’s small. And it’s easy to store. **This activity is based on information from the following sites. I can’t wait to use this activity with my new kiddos! I’ve seen something a little similar where everyone has to draw a picture using all 4 symbols, and you discuss how different each person’s picture turned out – but I love that each symbol has a meaning in this activity! So glad it will be useful to you! The kids in the squiggle group always seem to have the most fun with it. Let me know how it goes!